Some seventy years from now it was a prestige to see someone carrying a 25-pound portable phone on his back. The lords might have had to hire someone to carry the equipment for him. Moreover, it had a very-limited range of 5 miles. Fast forward and see what we have now in our pockets. A smart phone with a world of features associated with it. 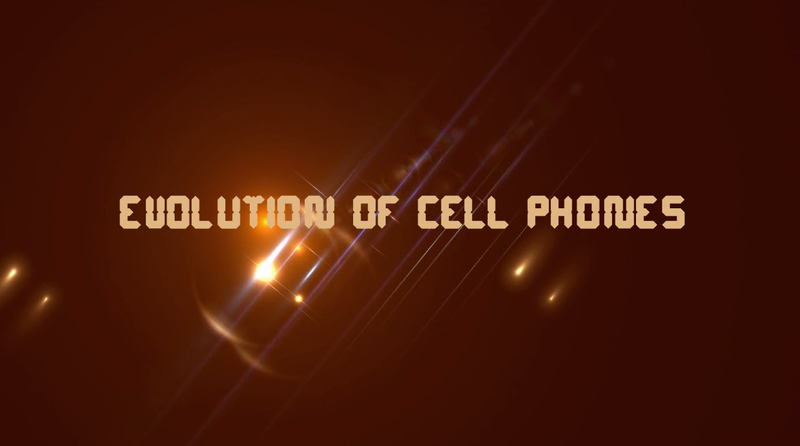 Evolution of cell phones is one of the most rapid, amazing, and interesting subject in human history. It came so far in such a short period of time for two reasons. Mainly because the potential users showed great intent and interest in adopting this technology and that the investors found a niche where they can get high returns on their investments in quick sessions. It was Motorola back in 1983 that launched first commercial cell phone named DynaTAC 8000X. The phone came out with a huge price tag (it would be around $10,000 in 2014 dollars). It had a talk time of only 30 minutes and 8 hours of standby time after a recharge of 10 hours. And it did not have any other features. However, it launched a platform for other players to come in and contribute to this great revolution. A video highlights revolutionary models from 1983 to 2014 and shows how this great evolution took place. Companies such as Nokia, IBM, and Sony Ericson were the ones who seized this great opportunity first. Samsung, LG, Apple, Palm, BlackBerry, and many others later joined the party. Now it has become a race. The one that introduced a unique, distinguished, and a creative product wins till the time another player brings in something of more value for the ultimate users.